Phoebe Baker Hyde--WWB Icon and author of “The Beauty Experiment” holds degrees in Cultural Anthropology and English from the University of Pennsylvania and a Master of Fine Arts in writing from the University of California, Irvine. Welcome Phoebe! Thanks so much for joining me here at World Wise Beauty. Kudos to you for being brave enough to do the beauty experiment and brave enough to write about it! Brave might sound like a strong word for giving up lipstick but your experiment was much more than just giving up beauty products. You really gave up things that defined your “feminine identity” as you were taught to believe by the cultural mores of today. “The Beauty Experiment” included everything from not shaving your legs and arm pits ( no no in American culture), to not wearing jewelry, to cutting your long hair off, and to not buying fashionable clothes. Stepping out from the cultural norm is no easy task and it takes courage to not “follow the herd” in any culture. We applaud you! Congratulations you are officially now a World Wise Beauty Icon. Phoebe Baker Hyde: Before my experiment, I would have said under-eye concealer. I felt I needed it to simply look normal, healthy, and alert. But without it I was forced to address root causes. The dark circles stemmed from sleep-deprivation as a new mom, something I had to work hard and creatively to fix. My own social anxiety stemmed from a pretty ancient assumption that women and girls have to smile and look pretty even when we don’t feel that way. Certianly taking good care of ourselves helps us feel better, but self-care has far more definitions that slapping on the artificial quick-fix of concealer. It was hard, but good, to let that go. If marooned on a desert island I’d absolutely want to take a 4ft x 3ft (or so) piece of hand-woven or batik-printed fabric with me—to use as a skirt, a dress, a scarf, a backpack , a shade, a blanket, and a tent. In my travels I’ve seen women from Guatemala to Cameroon to Bali use this marvelous piece of female technology in ways that are always both practical and decorative. 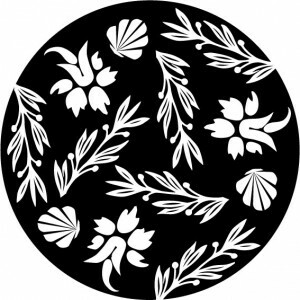 Check out my textile collection on Pinterest! Lauroly Q: You happened to be living in Hong Kong when you started The Beauty Experiment and this must have made things even more interesting. What do you think is different about Asian beauty culture and feminine ideals versus American culture and the ideals you grew up with? Was there a vast difference in the reaction to your experiment while in Hong Kong versus America? Or is beauty culture becoming globally homogenized? there is a very clear advertising angle that urges women to be little-girlish, forever youthful, ethereal, cute, carrying a purse with a big, shiny designer label and with skin bleached by all kinds of whiteners. It’s a very different perfected femaleness than the pilates-toned, sun-bronzed, athlete-models that we often see in the US, or the glamazons that menace us from billboards with black eye-makeup and power-hungry scowls. I think the fact that I wasn’t hitting any of these ideals helped me begin my experiment. And people’s reactions varied more according to someone’s age and personal status than where they were from. Professional women were annoyed by me doing something they felt they couldn’t or wouldn’t risk, stay-at-home or work-at-home caregivers barely noticed, my mother and mother-in-law wondered if I had a screw loose. I was tired and lonely—wasn’t pampering what I needed? In a way it was, but I also needed to take a look at my relationship, my professional aspirations, my personal finances, my own expectations of myself as a mother etc. I was at a crossroads where all the other things had to come first. Lauroly Q: For those who haven’t read the book yet we should share your experiment wasn’t for a scientific paper or your thesis on cultural anthropology. This was a deeply personal experiment for you. What was the real catalyst for starting this experiment of “less is more”? Phoebe Baker Hyde: The decision took me somewhat by surprise, but in retrospect I think internal pressure had been building. We all have moments when we think: “What on earth and I doing here?” In the book I talk about the fancy red dress I bought for my husband’s work party. I’d hung so many hopes on it making me feel great, and then it didn’t– and my baby daughter was watching me sulk. It was a tipping point. Lauroly Q: The tagline for World Wise Beauty is “comfortable in your own skin”. I struggled with many of the same issues you did but perhaps through different experiences. I don’t think there is a woman I know who doesn’t struggle with the inside/outside conflict. The journey to a healthy sense of self and positive self image is challenging for a woman. It’s challenging because we are still “objectified” and judged by our appearance. It is hard to step back or detach from the “culture” we live in and not care about our appearance at all. What did you learn from your experiment and how do you feel about yourself today? Phoebe Baker Hyde: On a concrete level, I did a lot of research on cosmetics and garment manufacturing and used it to invent some very practical tools to help me be mindful about buying new socks or moisturizer. These are all in the book but one empowering tip I can share is to write your own “must-have” list of wardrobe essentials for the life you actually live, not the life glossy magazines suggest you can have if you just go out and buy a fitted pencil skirt and perfect ballet flats. (Neither of which I own! They don’t work for me at all!) Today I live in a gray area between the consumerist excess of beauty anxiety and the Spartan habits of my year-long beauty cleanse, and it’s a happy, flexible and principled place. Lauroly Q: My last but very important question. The test of your experiment and it’s lesson learned would be how hard or how easy it is to answer the following question. What is the one feature ( or more) you love about your appearance without any products or adornments? Phoebe Baker Hyde: My skin! The answer just pops into my head. I think it’s because after years of hormone turmoil and too much tanning and stinging sunscreens and concealer that sweated off, I’ve finally come to love the coloring I really have. It’s very very fair and freckled—but I look good in off-white and coral and my sensitivity to sun gives me an opportunity to wear fun hats in every season. Thanks so much for this opportunity to share with you Laura! 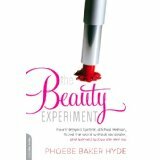 Lauroly Closing: I hope you read Phoebe’s brave funny book ” The Beauty Experiment” and become inspired to conduct your own beauty experiment. Phoebe isn’t against any one particular beauty practice of the moment. Her goal was to strip away all things that became masks–preventing her to connect authentically with others and perhaps most importantly with herself.